VALLEY FORGE, Pa. — PJM’s proposed revisions to how it prices reserves in its energy market necessitates changes in the RTO’s capacity market to prevent substantial overpayment by customers for electricity and the exercise of market power by generators, Independent Market Monitor Joe Bowring said Friday. Without a true-up, PJM’s package of changes, being developed under a Jan. 31 deadline imposed by the RTO’s Board of Managers, would result in the overpayment of at least $6 billion to generators over four years after its implementation, Bowring told the Energy Price Formation Senior Task Force (EPFSTF), as well as significantly higher overpayment after that without specific market design changes in the capacity market. 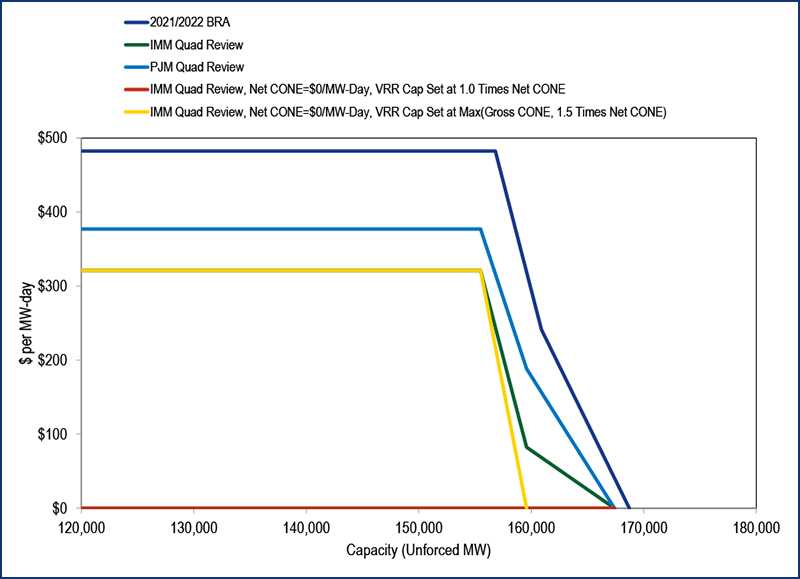 Bowring said increased energy market revenues won’t result in lower capacity prices without changes to the variable resource requirement (VRR) demand curve. The curve is based on the net cost of new entry (CONE), which considers all generator revenues from energy and ancillary services markets. The Monitor proposed setting net CONE as the maximum price on the curve. 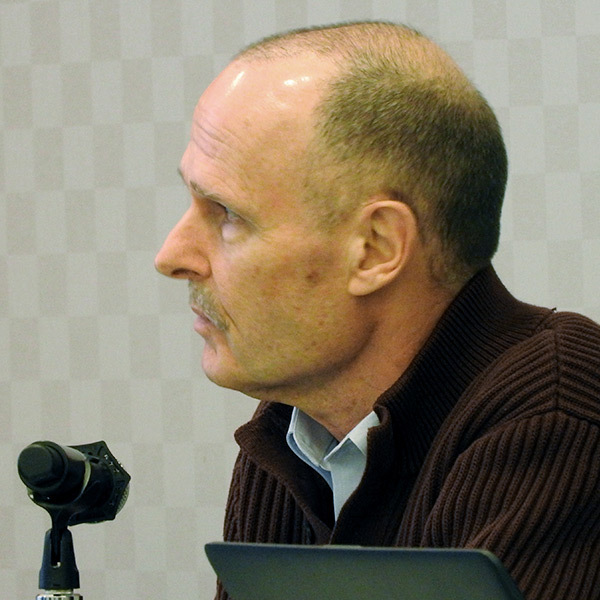 As a result, Bowring said, capacity prices could be $0 under some circumstances when energy market revenues are high. 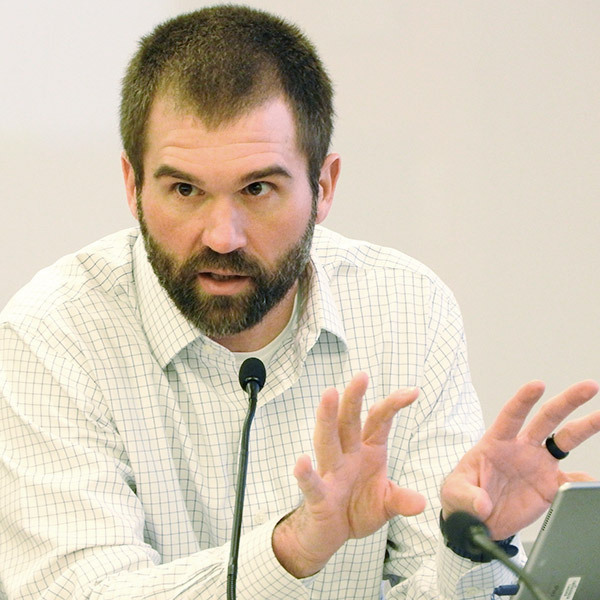 The Monitor first raised its concerns at the task force’s previous meeting Jan. 4, but Friday’s meeting marked the first time it made explicit its proposals for why the VRR curve needs to change in response to PJM’s proposal. Bowring said PJM’s logic for the package of revisions “escapes me.” But, he said, if that was what the RTO wanted to do, his concerns would need to be addressed to prevent overpayments. “It’s the same lesson ERCOT learned,” he said of the Texas grid operator, which does not have a capacity market. Stakeholder reaction to Bowring’s presentation was mixed. Brock Ondayko of American Electric Power said that, without further modifications to the VRR curve, he expected capacity to clear at lower prices under the proposed rules because of the increased energy and reserve revenues. Bowring’s predictions “just seem counterintuitive,” he said. But consultants James Wilson and Roy Shanker, and Susan Bruce, attorney for the PJM Industrial Customers Coalition, agreed the IMM had identified a problem that needed to be addressed. With the PJM board’s deadline looming, however, it may not matter. “We’re in an interesting spot, both from a timing and scope perspective,” said Dave Anders, PJM director of stakeholder affairs and chair of the task force, explaining that the capacity market curve is out of scope under the issue charge the Markets and Reliability Committee approved. The MRC’s next meeting is Jan. 24, when the committee is expected to vote on PJM’s proposal. Anders said stakeholders offering alternatives to PJM’s proposals should include any measures to address the capacity curve issue as an addendum, not as part of the packages to be voted on by task force members Jan. 17. “I don’t want to use the process to ignore what may be a significant issue,” he said. Bowring said PJM would be foolish to ignore the impact of such a “radical change” to the energy market on the capacity market. “It is going to be part of the scope in front of FERC,” he said. Wilson, a consultant to consumer advocates in New Jersey, Pennsylvania, Maryland, Delaware and D.C., ended the session with a brief presentation in which he said PJM should make public appeals for conservation when administrative shortage prices reach a threshold so that customers know they are facing high prices and have an opportunity to reduce their consumption. He said the trigger could be the shortage price component hitting $300/MWh. PJM’s current rules call for such appeals only when reliability is at risk. FERC issued a deficiency letter last week asking PJM to justify its proposal for pricing reserves in emergencies. PJM should change its rules on pricing and scheduling of interface transactions to reflect changes in system conditions and eliminate the need to schedule physical transactions across seams, the RTO’s Independent Market Monitor says. Reserve market prices in eastern PJM are likely to drop in June as PJM implements a new model for calculating interface transfer capabilities.